So, our today’s Heroine is Budding Social Worker who is a highly motivated girl & creating her powerful presence in social world. 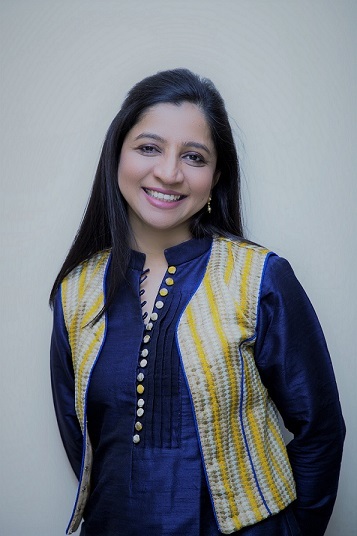 Sneha Sharma is Real karma yogini who is working selflessly with a vision to serve man kind ,She is currently holding a position of Vice-President in Ashwamedh Foundation – A Registered NGO who is working for Educating the Underprivileged India. Ashwamedh Foundation was featured in 501 best performing NGO in Maharashtra in 2017. It’s a part of Federation of NGOs started by Social Responsibility Group, Pune which gets Funding from Art of Living and BVG Group etc. Ashwamedh Foundation has reached more than 5000 beneficiaries in 5 years through its camps, events, activities etc. ISR project of Welinkar institute of management covered Ashwamedh Foundation’s work.Every year B-School students, BSW/MSW students, BEd students approach them for their Internship/CSR project. Many students have done their projects under Ashwamedh Foundation. Ashwamedh Foundation helped Nepal victims in Earth Quake and Flood victims of J & K by sending them relief materials and clothes. So let us start with the beautiful journey of Ms.Sneha Sharma : Educating the Underprivileged India. Nirav: Hi Sneha, thank you for giving me your precious time. Let’s start with your full introduction first. Sneha: Hello, Thanks for having me here. My name is Sneha Sharma and I am Vice President of Ashwamedh Foundation. Professionally, I am working as a Mentor (Acting TL) in a healthcare IT company. I have 6 members in my family – my parents, 2 elder sisters and 1 elder brother. I am a proud daughter of an honest father and a very hard working Mom. This is what always motivated me in my life. They always encouraged me to work hard to chase my dreams, to do something for the society, to be grateful for whatever I have been blessed with. My Parents come from the very humble background. My Mom struggled really hard, took odd jobs like stitching clothes for garment shops etc. so that she could enrol us in a good Convent school and help us provide good quality education. There were days when we did not have enough to eat and often slept off either having little or nothing at all. My eldest Sister and Brother started working at the very young age to support our family. They simultaneously completed their graduation through correspondence. From taking tuitions to travelling the long distance and working for promotions, to doing catering jobs, to working as a compounder, to working in small firms etc. is all they have done. Growing up in a family where I have seen my parents and siblings work so hard each day to make ends meet is what keeps me inspired always and achieve my dreams and goals to make them proud and feel happy. It motivates me to help students who come from a weak financial background and need emotional support as well. Nirav: How you started your journey as a Social Worker? Sneha: Well, it’s a long story.Getting admission in a good school was the 1st step. I was blessed to have good principal – Sister Joyce and tuition teacher – Josephine. We never had enough money to pay our fees, and that is when my principal, Josephine and couple of more people helped us financially so that we could get our books. Every year, I used my elder Sister’s books to study. She was senior to me. We maintained our books well and passed on to other students in need. People helped us, and they were not even related to us by blood. My parents being very noble and helpful in nature, always try to help others in whatever way they can. This motivated me to help my fellow people and work for a society in my best capacity. I started with helping my friends in studies and sharing my knowledge during school and college days. Some of my college teachers always supported me and inspired me to study well and work hard. I stood 1st in my college in TYB.com. After my graduation, I took a job as the finance executive in a healthcare IT company. After working for few months in the organization, I was completely lost in the routine monotonous job. I started feeling like a Machine. This was the time when I came to know that one of my cab mate Abdul Hakim Ansari volunteers for Ashwamedh Foundation. I was curious and inquisitive to know more about the Ashwamedh and that’s how my journey with Ashwamedh Foundation began. I started working with Ashwamedh Foundation in Nov 2014. Since then I have never looked back and working towards educating the Underprivileged India. Nirav: Tell us more about your Organization? 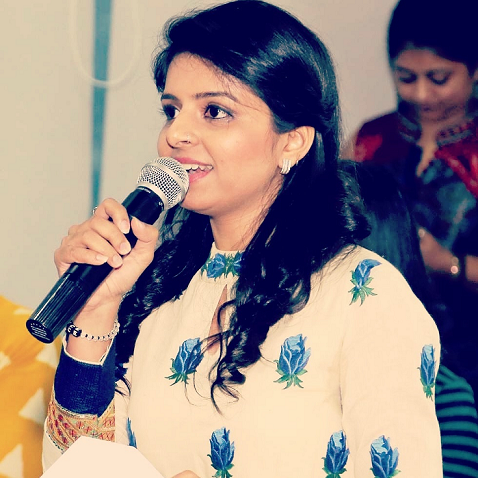 Sneha: Ashwamedh Foundation was founded by few like-minded people who came together with common goals of creating an institution to provide quality education either at minimum or no cost. It was registered in 2013 as a trust and Mr Deepak Doddamani is the Founder of Ashwamedh Foundation. He is also our guide, wellwisher, friend and Mentor who always supports us to put our views forward and work hard. Events like birthday celebrations, New year Celebrations, Independence Day and Republic Day Celebrations, Splash – Drawing Competition, etc; Educational trips to Nehru Planetarium and Kala Ghoda Arts Festival etc., Projects like Project Ankur (Focuses on basic English and Maths) and Project Aakaar (Focuses on Personality development) in vernacular medium schools, etc have been organized and executed well. Nirav: Please explain your role in the Organization? Sneha: Right now I am a Vice President of Ashwamedh Foundation and guide operations team to plan and execute the Projects. I am working with Ashwamedh Foundation since Nov 2014. I started as a volunteer. After volunteering for many activities I got my first opportunity to lead a Project. Managing Committee of Ashwamedh Foundation made me Project Co-ordinator for Project Ankur in 2015. Project Ankur is a flagship program of Ashwamedh Foundation. I lead the 2nd year of Project Ankur as Project Co-ordinator where I had to guide 8 MBA students from HKIMSR institute for their CSR project which they carried out under Ashwamedh Foundation. I felt really fulfilled and confident after finishing that project successfully. Slowly and steadily, I started taking lead in all the activities and projects of Ashwamedh Foundation -Educating the Underprivileged India, Project Aakar of 2016 was equally successful. As a Project Co-ordinator of Ashwamedh Foundation, I planned and executed almost all activities and projects for two years. Thereby, I in the Diwali Volunteers Meeting I was given the position of Operations Head. This is for the first time I became the key member of Ashwamedh Foundation and started participating in a decision-making process. As an Operations head, I got an opportunity to create leaders under me and groom them. Nirav: What were your achievements in this field? Sneha: Working on a ground level and closely with other NGOs and orphanages has given me an opportunity to meet children and people at different positions and know their views. I am more confident now and able to speak and express myself well. I am more social and this has brought positive changes in my life which helps me to share my knowledge, and motivate and inspire others to do something in their life and ultimately for the society. Project Ankur and Aakaar are two major projects that I have a lead. Project Ankur is for Std. 5th and 6th students and it focuses on basics of English, Maths etc subjects i.e. Educational part.While Project Aakaar is organized for students of Std. 8th and 9th. It comprises of sessions like value education, time management, stress management, personality development, group discussion etc. that is development part. This is how we work for Child Education and Development. Project Aakaar so that students can become more expressive and confident while dealing with the world. We Inculcate good values at the younger age and also teach them basic life skills like time management, stress management, public speaking etc. Project Ankur focuses on making the student read and write properly. Our main focus is to develop their academic foundation at the very early age so that they can face subjects like Maths and English confidently later. My biggest achievement in Ashwamedh Foundation -Educating the Underprivileged India- is the people I connected in these 4 years. I may have reached more than 2000+ beneficiaries and it feels extremely good to know that they look forward to meeting me again. They consider me as their role model. They want to learn more and more. Each time I visit for sessions it makes me do so much more for them. No matter how tired I am due to work but their smile and all the love I get from them takes away my tiredness and make me happy. This achievement can not be measured in the material. Nirav: What do you hope to accomplish as Social Worker? Sneha: I’ve learned a lot in last 4 years. Working with children has helped me find myself. Ashwamedh Foundation has developed me into very good human being and I want to explore more about me and my potential here. I want to reach more and more children and bring the smile on their faces. I strongly feel that together we can bring a positive change in the lives of underprivileged children by educating and developing them in the good citizen of India hence we start theme as Educating the Underprivileged India and the world at large. All of us as humans should realize the importance of giving back to society. I along with my team members would like to build educational institutes for underprivileged students. At Ashwamedh Foundation we always believe that World can be conquered through love. We will continue to do so. Nirav: What major disappointments or failures have you had in the fieldwork? Sneha: Well, working at ground level includes lots of challenges. Some of them being – lack of donations, time involved in meeting and coordinating with new people, delay in getting legal compliances, high attrition rate, unpredictable human resource etc. Sometimes people are not cooperative and we need to motivate them in the best possible way. Sooner or later they always start supporting our ideas and help us in our projects. While teaching students the main challenge is to keep them involved. We have to make sessions interactive and fun-filled. We don’t have our owned NGO centre, so it becomes difficult to reach right beneficiaries. So currently we prefer to tie-up with NGOs and Vernacular medium schools. Lack of resources restricts us from reaching to maximum beneficiaries. Donations and human strength (volunteers) are very important for keeping the NGO work running. Delay in getting our legal compliances fulfilled due to corruption also leads to delay in taking the next big step as planned by us. So frankly speaking, NGO industry is filled with lots of hurdles and challenges. Ashwamedh Foundation faces the same problems which other small NGOs might be facing. But it never dampens our spirits. When we manage to create some social impact, we feel highly satisfied and joyful. Nirav: How you manage your Personal Life and Social Work simultaneously? 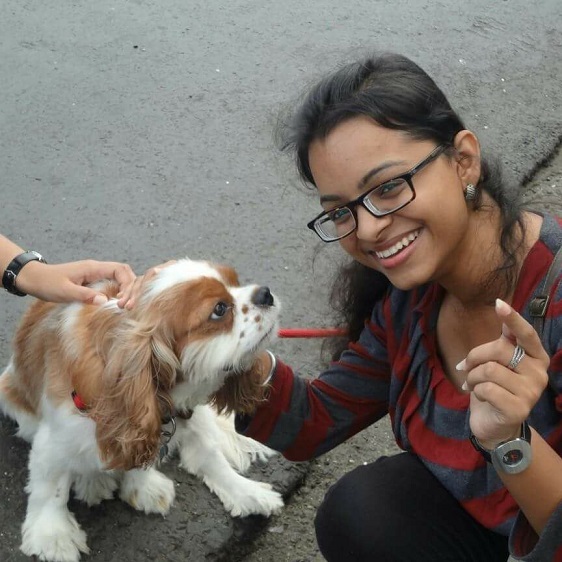 Sneha: I work night shift and spend maximum time on weekends in social work. At times, to get approvals and permission we also need to travel in weekdays so that there is no confusion on the day of the event, activity etc. Since we have a great team bonding, we all work closely with each other and when one person has some personal work then the other one takes care of the activity. So you may say that we help each other in a team as well. I’m doing good at my Job too and luckily my colleagues support me and encourage my social work too. Once you do proper time management, you can definitely do something for the causes you believe in. Good planning is all takes to manage Personal life and Social life properly. Nirav: Who has been your greatest Inspiration in Life and in Social Sector? Sneha: My Mom and my elder sister Reena have been my role models throughout my life. I have always taught myself to focus on taking good values from the people I come across in life each day. My family, teachers, well-wishers, friends, children etc. all have contributed to my life and made me a better person. Whatever I am today is largely because of my Mom and elder sister and everyone’s faith in me. I also admire APJ Abdul Kalam and Mother Teresa apart from few motivational speakers. It’s Ok if you can’t do great things, do small things with great love. This quote from Mother Teresa is the philosophy of my life. Nirav: What is the Message you want to give to youngsters who want to do Social Work? 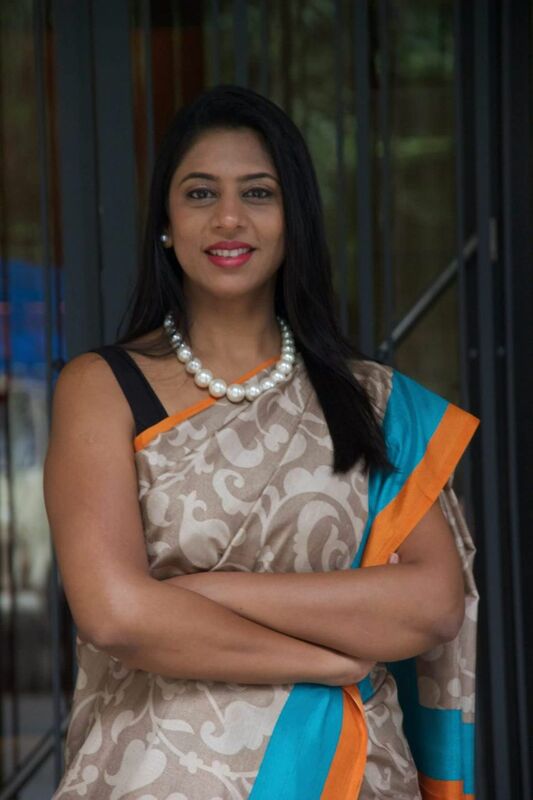 Sneha: If you wish to and are determined to do something good for the society then go ahead. Just remember that it is going to be difficult at the beginning. When you will give few hours from your busy schedule to social work; you will be able to bring happiness in the lives of underprivileged people. In my case; smiles on the faces of the children and great respect for me in their eyes work as the tonic to continue my work with double enthusiasm. Ashwamedh Foundation is relentlessly working for a betterment of the underprivileged children they run their operation completely from the donations they received from the general public , if anyone wants to do donate to Ashwamedh Foundation please click here.